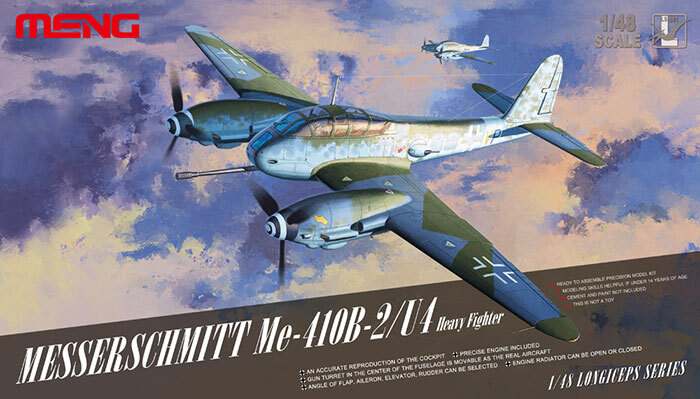 Our new 1/48 Messerschmitt Me 410 B-2/U4 heavy fighter, nicknamed Hornet, is 278mm long and 340mm wide. In the kit, modellers will find a highly detailed cockpit and bomb bay, precise DB 603 engines and BK-5 cannon. The operating range of movable center-fuselage gun turrets is same as real aircraft.